Pricing depends on size, complexity of design and other add-ons such as special decorations and packaging. 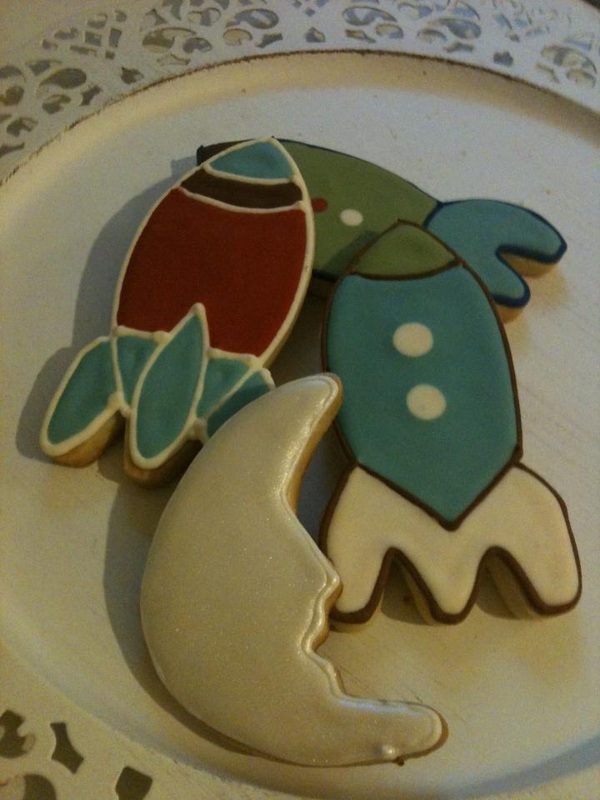 Cowgirl Treatery's signature sugar cookies are firm, but not hard and flavored with a hint of almond and citrus. Most designs are also available in black cocoa (think taste and texture of one of those black, crème-filled sandwich cookies). Individually bagged and tied with coordinating ribbon for $3 per dozen. Other packaging options also available. Devil's Food--Moist, light, dark and decadent. Pairs well with chocolate or white almond buttercream. Yellow Velvet--Dense, moist, slightly tangy. Topped with a vanilla cream cheese frosting. White Wedding--Soft, moist, vanilla flavored. Great with chocolate, vanilla or almond buttercream or a fruit-infused flavor. Not what you're looking for? Talk to me about your cupcake flavor needs. Cowgirl Treatery's flagship pies are apple, pecan (with or without chocolate), cherry and peach. The crust is home made, never packaged or frozen. I prefer a light and flaky "fall apart" crust, but I can make it with a little more "tooth" if you prefer. All pies are 9" and are $16.00. Because I operate under the Texas Cottage Food Law, I cannot offer custard (including pumpkin) or meringue pies. 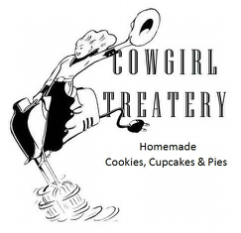 Cowgirl Treatery can also make other delectable items as allowed under the Texas Cottage Food Law. Ask about my ginger molasses cookies, crispy yet chewy chocolate chip cookies, double chocolate espresso brownies and more. Prices for drop cookies are $15 per dozen with a two dozen minimum. Bar cookies and brownies are priced according to pan size. These items can also be packaged for presentation as a gift at for additional charge.